As of the 2010 United States Census, there were 1,526,006 people, 590,071 households, and 352,272 families residing in the consolidated city-county of Philadelphia, Pennsylvania. The population density was 4,337.3/km² (11,233.6/mi²). There were 661,958 housing units at an average density of 1,891.9/km² (4,900.1/mi²). The population was spread out with 25.3% under the age of 18, 11.1% from 18 to 24, 29.3% from 25 to 44, 20.3% from 45 to 64, and 14.1% who were 65 years of age or older. The median age was 34 years. For every 100 females there were 86.8 males. For every 100 females age 18 and over, there were 81.8 males. The median income for a household in the city was $30,746, and the median income for a family was $37,036. Males had a median income of $34,199 versus $28,477 for females. The per capita income for the city was $16,509. 22.9% of the population and 18.4% of families were below the poverty line. 31.3% of those under the age of 18 and 16.9% of those 65 and older were living below the poverty line. The male-female ratio was 86.8 to 100, with 46.5% of the population male and 53.5% female. Of places with 100,000 or more people, this was the third lowest in the United States. Only Gary, Indiana and Birmingham, Alabama had a higher proportion of women. Of housing units, 590,071 (89.1%) were occupied and 71,887 (10.9%) were vacant. Of occupied housing units, 349,633 (59.3%) were owner-occupied and 240,438 (40.7%) were renter-occupied. The mean travel time to work was 32.0 minutes for workers 16 years of age and older. Residents of Center City, however, had much shorter commutes. Center City has the second largest downtown residential population in the country, surpassing Chicago in 2015, and most walk to work. 63.97% of Philadelphians drove an automobile to work (including carpools), 25.93% commuted by public transit, 9.22% walked to work, and 0.88% commuted by bicycle. 35.74% of households did not have an automobile. The proportion of Philadelphians who do not commute by auto is high compared to most other American cities, although lower than the proportions in New York City and Washington, D.C.
From its founding through the early 19th century, the City of Philadelphia was considered the area between the Delaware and Schuylkill Rivers and between Vine and South Streets. Although the city proper was second to New York City in population at the time of the first U.S. Census in 1790, Philadelphia County was the most populous urban (or metropolitan) area in the nation until 1810, when it was surpassed by New York. In 1854, the Act of Consolidation incorporated the rest of Philadelphia County and created Philadelphia's modern border. This resulted in a large population increase, evident in the 1860 census. Philadelphia experienced steady growth between 1860 and 1950, except for a brief lull in 1930, which was due in part to the Great Depression. Its population peaked at 2,071,605 in 1950. Between 1950 and 2000, the city lost 554,055 people, or 26.7% of its population. To put this into perspective, Chicago lost 20.0% of its population during the same era, and Baltimore lost 31.4%, according to US Census data. This nationwide trend is often referred to as "white flight" because upper- and middle-class families, enabled by nationwide improvements to infrastructure, left cities in favor of their surrounding suburbs. In 2011, census data was released showing that Philadelphia had achieved its first confirmed population growth in 60 years. The increase was 0.6 percent. It is attributed to a variety of factors, including increased immigration (especially from countries like India, South Korea and Mexico) and migration from more expensive cities in the Northeast Corridor. Between 2000 and 2010, the city's Hispanic population increased by 44 percent to 187,611 and its Asian population grew by 42 percent to 95,521. Wealthy transplants, Asian American investors from New York City, and African Americans from Washington, D.C. have received media attention for setting their sights on Philadelphia. The ten-year tax abatement, a historically undervalued housing market, improvements to the waterfront, and continuing redevelopment throughout the city are thought to be factors drawing people to the area. For much of its early history and up until the mid-1800s, the vast majority of Philadelphia's population was Protestant and composed mainly of Protestant Anglo-Saxon English Americans (many of whom were Quakers or of Quaker descent). The city also contained significant populations of free blacks, Welsh Americans (including a great number of Welsh Quakers), Scottish Americans, and Pennsylvania Dutch people (most notably the German Mennonites and German Quakers that founded Germantown), as well as the Protestant Swedish, Finnish, and Dutch American families that originally came to the Philadelphia area to live in the colony of New Sweden. The roots of the Mummers Parade can be traced back to a blend of the traditions of these ethnic groups in Philadelphia during this period, though the celebration would evolve and be altered by the traditions of subsequent immigrant groups. Prior to the 1820s, the majority of German and German-speaking settlers in Philadelphia had belonged to Protestant sects. Starting around the 1820s, an increasing number of poor Catholic Germans began to immigrate to Philadelphia. Soon after, in response to the starvation and poverty that would lead to Irish Potato Famine, a growing number of impoverished Irish Catholic immigrants began to settle in Philadelphia, leading to a rise in anti-Catholicism, nativism, and anti-Irish sentiment among the majority Protestant population in the city. Hatred for the newly arrived Irish Catholic immigrants culminated in the bloody anti-Irish Philadelphia Nativist Riot of 1844 and fueled the rise of the Know-Nothing Party in Philadelphia. At the same time, as the number of poor and unskilled Irish Catholic immigrants increased, Philadelphia experienced an increase in freed and fugitive slaves from the South seeking refuge and employment in the city. Both blacks and Irish Catholics were at the bottom of the social hierarchy in Philadelphia, and poor Irish immigrants often competed with African American ex-slaves for menial or unskilled work. The competition between the two ethnic groups led to the 1842 Lombard Street Riot. Also, beginning in the mid-1800s, immigrants from China began to settle in Philadelphia, establishing Philadelphia's Chinatown and further diversifying the city's demographics. Like its other immigrant-magnet peers in the Northeast, starting in the late 19th and early 20th centuries, Philadelphia experienced an unprecedented heightened level of immigration. This period of immigration consisted of mainly Catholic and Jewish immigrants from Southern European and Eastern European countries such as Italy and Poland, as well as a second wave of Catholic immigrants from Ireland. Around this same time, an increasing number of African Americans from the Southern United States began to settle in Philadelphia during the Great Migration. Though they would experience high levels of discrimination and prejudice, Italians in Philadelphia would also significantly alter the city's culture and cuisine, creating the Italian Market and the cheesesteak. Italian and Irish immigrants and their children in South Philadelphia also revived, altered, and continued the Philadelphia tradition of the Mummers Parade. Since the 1940s, Philadelphia experienced large waves of Puerto Rican migration. They remain an integral part of the city and a sizable swath of eastern North Philadelphia is considered to have the highest urban concentration of Puerto Ricans in the continental United States. The number of Hispanics and Asian Americans has increased over the past 20 years and continues to accelerate. The number of foreign-born residents increased by 34,000 between 1990 and 2000. Of foreign-born Philadelphians, 38.5% were from Asia, 30.3% were from Europe, 23.4% were from Latin America, and 6.7% were from Africa. Recent immigrants from Asia are mainly of Indian, Korean, Chinese, Vietnamese, Laotian, Hmong, Filipino, Cambodian, Thai, Pakistani and Bangladeshi backgrounds. In addition, the Latino population continues to grow, as Dominican, Mexican, Colombian, Salvadoran, Guatemalan, Cuban, Honduran and Brazilian immigrants, as well as Puerto Rican citizens emigrate to the city. Large concentrations of non-Hispanic whites live in Center City, Northeast Philadelphia, and Northwest Philadelphia (although this is changing). Gentrification is altering the racial demographics of predominantly black neighborhoods close to Center City. European immigration is also growing, with more Irish, Italian, and Polish immigrants. Recently, thousands of Russian and Ukrainian immigrants from Eastern Europe (many of whom are Jewish) have arrived, mainly in Northeast Philadelphia. There are other growing nationalities, which include Spanish, Portuguese, Slovak, Greek and Serbian. The city's Middle Eastern population has tripled since 1990, with people of Palestinian, Turkish, Lebanese, Iranian, Egyptian, Iraqi, Saudi, Syrian and Afghan backgrounds residing in Philadelphia. Irish immigrants and the Irish Americans are associated in the North and Northeast Philadelphia neighborhoods, including Fishtown, Kensington, Mayfair, Frankford, Port Richmond, Holmesburg, Harrowgate, and Juniata, as well as Devil's Pocket, Whitman, Gray's Ferry, and particularly Pennsport in South Philly. Philadelphia has the 2nd largest Irish American population in the country. In the 1960s, many of the Irish in Philadelphia were known to join the Philadelphia Police Department and Philadelphia Fire Department. Italian immigrants and the Italian American community are frequently associated with South Philadelphia as well as Bella Vista, Central South Philadelphia, Girard Estates, Marconi Plaza, Packer Park, the Italian Market area, Roxborough, Frankford, Wissinoming and Tacony, among others. Philadelphia has the 2nd largest Italian American population in the U.S.
Poles and Polish Americans, as well as Polish Jews, have a rich history in the Port Richmond-Bridesburg area, as well as areas of Kensington and the Northeast. Non-Hispanic Blacks make up 42% of Philadelphia's population, and 44% when including Hispanic blacks. The native black population represents the vast majority of blacks in the city and about 39% of the citywide population. The remaining black population being black immigrants from the Caribbean and Africa, and Afro-Hispanics within the Puerto Rican and Dominican communities. The largest concentrations of native-born blacks are in Germantown, North Philadelphia west of Germantown Avenue, the Point Breeze neighborhood of South Philadelphia, parts of Southwest Philadelphia, and West Philadelphia. Together these neighborhoods have a population of about 610,000 and are roughly 82% black; making it the 4th largest predominantly black area in the United States after Bedford-Stuyvesant, Brooklyn, Detroit, and South Side Chicago. Philadelphia has one of the largest ethnic African American / native black populations in the country, tracing their ancestry to descendants of African slaves from the US south. Philadelphia has one of the most notable West African populations in the United States. As of 2010, there were 25,570 people of recent African origins living in Philadelphia. The largest Sub-Saharan African populations within the city are Nigerians and Liberians. By 2008 about 15,000 Liberians had immigrated to Philadelphia area, the Liberians left their native country due to two civil wars and the destruction of Liberian infrastructure. The African population is largely concentrated in West and Southwest sections of Philadelphia. However, the Cedar Park neighborhood is the only neighborhood predominately made up of West Indian/Caribbean and Sub-Saharan African immigrants. 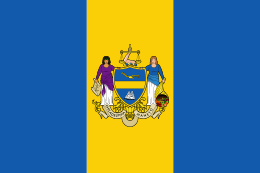 Philadelphia also has a large West Indian community from the Caribbean islands. The West Indian population is largely concentrated in West Philadelphia, with smaller numbers in the Southwest and Northeast sections. As of 2010, there were 24,608 people of West Indian ancestry living in Philadelphia, representing about 1.6 percent of the city, the vast majority of which are Haitians and Jamaicans. Though, the number of West Indians balloons when including other areas in the Philadelphia metropolitan area and not just the city itself. The Philadelphia area has one of the largest Jamaican populations in the country. Jamaicans.com features Philadelphia and Jamaican culture in the city. Most West Indians live in West and Southwest Philadelphia. However, the Cedar Park neighborhood is the only neighborhood predominately made up of West Indian/Caribbean and African immigrants. Though, Haitians and Jamaicans are near even in population, Jamaicans represent the majority of West Indians in West Philadelphia, where most of the overall West Indian population lives. This is because Haitians are more evenly distributed throughout the city, outside of West Philadelphia, there are smaller numbers of Haitians in several neighborhoods in the Lower Northeast. Aside from Haitians and Jamaicans, there are also sizable numbers of Trinidadians and Bajans. As of the 2010 census, there were 187,611 Latinos and Hispanics in Philadelphia, constituting over 12 percent of the city's population, the vast majority of which are Puerto Ricans. Most Philadelphia Hispanics self-identify as either white, black, mixed, or other, for government purposes i.e. United States Census. As of 2010, there was of 121,643 Puerto Ricans living in Philadelphia. This meant that Puerto Ricans are the largest Latino group in the city and that Philadelphia has the second largest Puerto Rican population, after New York City. Though, smaller numbers of Puerto Ricans can be found throughout the city, overall, eastern North Philadelphia has one of the highest concentrations of Puerto Ricans in the country, largely the result of high levels of segregation and a very large Puerto Rican population. Philadelphia has been a heavy Puerto Rican destination since the 1950s, though migration to the city has picked up and now Philadelphia has one of the fastest-growing Puerto Rican populations in the country. Puerto Ricans constitute over 75% of the Latino population in the city. Most Puerto Ricans live in the areas of North Philadelphia east of Germantown Avenue (eastern North Philadelphia), and to a lesser extant the Lower Northeast and Uptown sections of the city. In fact, the Fairhill section of Eastern North Philadelphia, particularly the blocks between 6th street and B street, north of York street and south of Erie avenue, have some of highest concentrations of Puerto Ricans in the country, with most blocks usually being around 85-90% Puerto Rican alone, with most of the remaining portion made up of Dominicans and African Americans. Increases in Latino immigration and migration have fueled the growth of El Centro de Oro in Fairhill. As of the 2010 Census there were 15,963 Dominicans in Philadelphia, up from 4,337 in 2000. Dominicans are now the second-largest Hispanic group in Philadelphia and the city has the 6th largest Dominican population in the US. Dominicans began coming to Philadelphia after 1965. Prior to 1990 there was a very small population of Dominicans. The a significant wave of Dominican immigration started in 1990 with a group of Dominicans moving from New York to gain jobs. Though, immigration from the Dominican Republic to the Philadelphia region is increasing, most Dominicans moving to Philadelphia actually come from New York City and other nearby areas. The vast majority of Dominicans live scattered in Lower Northeast and eastern North Philadelphia especially north of Erie Avenue, sharing neighborhoods with the city's larger Puerto Rican population. Smaller numbers of Dominicans live in West Philadelphia. Dominicans are one of Philadelphia's fastest growing ethnic groups. As of the 2010 U.S. Census there were an estimated 15,531 Mexicans in Philadelphia, up from 6,220 in 2000. The first Hispanophone population in Philadelphia was a small group of Mexicans who arrived in the 19th Century. A small group of Mexicans remained throughout the city's history. A group of Mexicans arrived in the 1970s. Small Mexican communities in South Philadelphia opened as a result of a 1990s wave of Mexican immigration. Another wave of immigration started in 1998 with Mexicans arriving from Mexico and areas outside of Mexico such as New York. Most of Philadelphia's Mexican community lives in the area of South Philadelphia east of Broad Street, adding to the area's melting pot like cutural mix, sharing neighborhoods with Italian Americans and Asian immigrants. As of 2011 most Mexicans in South Philadelphia originate from the state of Puebla. Mexican immigrants have drastically changed the Italian Market area in South Philadelphia and have set up a small community in and around the market. Mexicans are the third largest Hispanic community, after Puerto Ricans and Dominicans, both of who mainly reside in North Philadelphia. The Carnaval de Puebla, one of the largest Poblano carnivals (a celebration of the Battle of Puebla) held in countries other than Mexico, began circa 2006. It is held every May. As of the 2010 Census, there was an estimate of 3,930 Cubans. Cubans, along with Spaniards, had founded and initially controlled several Latino and Hispanic organizations in Philadelphia. In the early 1960s large numbers of Cuban refugees arrived in Philadelphia. As of the 2010 Census, Hispanics of all other Hispanic groups numbered nearly 30,000, including an estimate of 4,675 Colombians, 2,262 Guatemalans, 1,641 Hondurans, 1,542 Ecuadorians, 1,085 Peruvians, 1,049 Salvadorans, 1,006 Argentineans. The Asian American community has long been established in the city's bustling Chinatown district, but recent Vietnamese immigrants have also forged neighborhoods and bazaars alongside the venerable Italian market. Korean immigrants have notably added to the melting pot of Olney. In several decades before 2010, the cost of living in Chinatown increased due to an influx in settlement, so Asian Americans began moving to other neighborhoods in northwestern Philadelphia, northeastern Philadelphia, and South Philadelphia. As of January 22, 2010, according to David Elesh, a Temple University urban sociologist, there were almost 60,000 Philadelphia residents who stated that they were born in China and many of them lived in South Philadelphia. A group of Hmong refugees had settled in Philadelphia after the end of the 1970s Laotian Civil War. They were attacked in discriminatory acts, and the city's Commission on Human Relations held hearings on the incidents. Anne Fadiman, author of The Spirit Catches You and You Fall Down, said that lower-class residents resented the Hmong receiving a $100,000 federal grant for employment assistance when they were also out of work; they believed that American citizens should be getting assistance. Bee Xiong, a Hmong leader in Philadelphia, stated that by the late 1970s there were up to 5,000 Hmong in Philadelphia but by in 1984 there were 650 Hmong. Between 1982 and 1984, three quarters of the Hmong people who had settled in Philadelphia left for other cities in the United States to join relatives who were already there. Reverend Edward V. Avery, a Roman Catholic priest quoted in the Philadelphia Inquirer, stated that unemployed black youths questioned why Hmong people instead of native-born U.S. citizens received the federal aid, and that contributed to violence against Hmong people. A U.S. Attorney, Edward S.G. Dennis, had begun an investigation by 1984. His office asked the Federal Bureau of Investigation (FBI) to determine if there was a hate crime. By the same year Xiong opened an employment assistance office to stabilize what was left of the Hmong population. He had used $100,000 in federal grants. About 13,000 Philadelphians identified as Native American on the 2010 census. The original inhabitants of the Philadelphia region were the Lenni Lenape, but by the mid-19th century violence and fraudulent land purchases had driven most of them out of Pennsylvania and the 21st century Native American community includes members of many other tribes as well. Christianity is the dominant religion in the city of Philadelphia. According to a 2014 study by the Pew Research Center, 68% of the population of the city identified themselves as Christians. The largest denomination is Roman Catholic. Metropolitan Philadelphia's Jewish population, the sixth largest in the United States, was estimated at 206,000 in 2001 and almost 300,000 in 2009. (though this number includes many secular Jews). There is also a significant Eastern Orthodox population as well as a strong Lutheran community. The greater Philadelphia area is home to one of the largest Lutheran communities in the United States (the largest on the East Coast). Many new religions have arrived, including Islam and Hinduism. With immigration from the Middle East, the Horn of Africa, Pakistan, Bangladesh and India, these two religions have increased their presence. The largest concentrations of Muslims and Hindus live in the Northeast and North parts of the city, Center City, West Philadelphia, and sprawling into the nearby suburbs. The Muslim African American community in Philadelphia has grown substantially over the last decade. According to several statistics, Philadelphia has surpassed Detroit and New York City to become the American metropolitan area with the highest proportion of Muslims. Religions with less numerous adherents can also be found. There is Buddhism in Chinatown, and Caribbean and African traditional religions in North and West Philadelphia. These numbers are also growing. Historically the city has strong connections to The Religious Society of Friends, Unitarian Universalism, and Ethical Culture, all of which continue to be represented in the city. The Friends General Conference is based in Philadelphia. African diasporic religions are popular in Hispanic and Caribbean communities in North and West Philadelphia. Vázquez-Hernández, Víctor. "From Pan-Latino Enclaves to a Community:Puerto Ricans in Philadelphia, 1910-2000" (Chapter 4). In: Whalen, Carmen Teresa and Víctor Vázquez-Hernández (editors). The Puerto Rican Diaspora: Historical Perspectives. Temple University Press, 2005. ISBN 1592134149, 9781592134144. ↑ "Annual Estimates of the Resident Population: April 1, 2010 to July 1, 2014 - 2014 Population Estimates". United States Census Bureau. Retrieved March 26, 2015. ↑ "Profile of General Population and Housing Characteristics: 2010 Demographic Profile Data - Philadelphia County, Pennsylvania". United States Census Bureau. Retrieved April 13, 2015. ↑ Archived copy at the Library of Congress (November 27, 2002). ↑ Pressler, Jessica (August 14, 2005). "Philadelphia Story: The Next Borough". The New York Times. Retrieved May 1, 2010. ↑ "Washington's Black Majority Is Shrinking". The New York Times. September 16, 2007. Retrieved May 1, 2010. ↑ Hepp, Chris (August 7, 2014). "Mummers Parade going south? City mulls big change". Philadelphia Inquirer. Retrieved February 2, 2015. ↑ Trulia (15 March 2013). "America's Most Irish Towns". Forbes. Retrieved 7 February 2014. ↑ "American FactFinder". Factfinder.census.gov. Retrieved 2012-08-26. ↑ Herold, Benjamin. "Student 'ambassadors' tackle divide between Africans, African Americans." The Notebook. Northern hemisphere Fall 2008. Volume 16, No. 1. 1. Retrieved on December 16, 2010. 1 2 3 4 Vázquez-Hernández, p. 88. 1 2 3 4 5 6 "Latino Philadelphia at a Glance." (Archive) Historical Society of Pennsylvania. p. 1. Retrieved on January 15, 2014. 1 2 3 4 5 6 7 "Latino Philadelphia at a Glance." (Archive) Historical Society of Pennsylvania. p. 2. Retrieved on January 15, 2014. 1 2 3 4 "From Puebla to South Philly." Philadelphia Inquirer. October 28, 2011. Retrieved on January 15, 2014. 1 2 Nazir, Milady (2015-05-15). "Philadelphia's iconic Italian Market transformed by influx of Mexican migrants". Fox News Latino. Retrieved 2016-11-16. ↑ "Latino Philadelphia at a Glance." (Archive) Historical Society of Pennsylvania. p. 3. Retrieved on January 15, 2014. ↑ Teague, Matthew. "Heroes: South Philly High’s Protesters." Philadelphia (magazine). August 2010. 1. Retrieved on January 31, 2013. ↑ "Bullying against Asian students roils Philadelphia high school." Associated Press at the USA Today. January 22, 2010. Retrieved on January 20, 2013. "Many of the city's nearly 60,000 residents who report being born in China live in the neighborhoods, said David Elesh, an urban sociologist at Temple University." ↑ "The Melting Pot." Fadiman, Anne. The Spirit Catches You and You Fall Down. The Noonday Press, 1997. ISBN 0-374-52564-1, ISBN 978-0-374-52564-4. p. 192. "In Philadelphia, anti-Hmong muggings, robberies, beatings, stonings, and vandalism were so commonplace during the early eighties that the city's Commission on Human Relations held public hearings to investigate the violence. One source[...]"
↑ "The Melting Pot." Fadiman, Anne. The Spirit Catches You and You Fall Down. The Noonday Press, 1997. ISBN 0-374-52564-1, ISBN 978-0-374-52564-4. p. 195. Wikimedia Commons has media related to Demographics of Philadelphia, Pennsylvania. Philadelphia in Focus: A Profile from Census 2000, Brookings Institution, November 2003. Licht, Walter (1992). Getting Work: Philadelphia, 1840-1950. Cambridge, Massachusetts, USA: Harvard University Press. ISBN 978-0-8122-1719-3. LCCN 91035021. . A discussion of how Philadelphia workers found jobs and how employers found workers, including how the process was affected by race, ethnicity, origin (immigrant versus native-born), industrial sector, unionization, and other demographic differences.